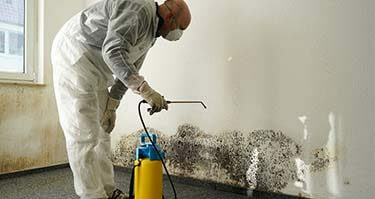 Mold is a fungus that grows in environments that are humid. If you spot mold growth in your Ann Arbor home, you’ll want to get rid of it right away. Not only will it spread if left unaddressed, it can potentially cause health issues for anyone in your household that suffers from asthma, respiratory illnesses or allergies. You can see it – The most obvious sign of mold is if you can see it. Mold tends to appear as green or black spots and can cause your walls to become stained or discolored. For example, one of the most common places that mold grows where you can see it is in the bathroom, such as on the shower tiles. You smell musty odors – Mold doesn’t always grow in areas where it can be readily seen. In some cases, it may be hidden. However, you’ll often be able to smell it. This is because mold often produces a musty scent. If you can smell it but not see it, it’s probably growing behind a wall or in a crawlspace. You’re having health issues – If you suffer from allergies or respiratory issues and you’re having problems with symptoms that include a runny nose, chest tightness, nasal congestion, postnasal drip or sneezing, then it could be the result of mold growth. There’s water damage – If you spot water damage in your home, whether it was caused by a leaky roof or a leaking pipe, there’s a chance that mold has begun growing in the area. The home is humid – Mold grows best in humid environments. If your home’s humidity levels are too high, there’s a chance that mold has begun growing somewhere. If you think you have mold in your Ann Arbor area home, you’ll want to call a mold remediation service. It may seem easy to remove mold on your own, especially if it’s growing on bathroom tiles (allowing it to be easily wiped up); however, mold remediation is much more effective. A mold remediation service will do a thorough inspection of your home to identify all sources of mold. This way, they will make sure all mold is removed and not just what’s visible. This is often done by using negative air chambers, which prevent mold spores from spreading during the cleaning process. Air filtration equipment may also be used to remove spores from the air. Once they have removed all traces of mold, they will suggest preventative measures to make sure that the mold doesn’t just grow back, such as installing a dehumidifier or installing more ventilation. 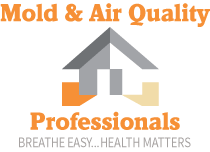 First of all, here at Mold & Air Quality Professionals, we don’t charge flat rates or have minimum charges or quotes. Instead, we charge on a case by case basis, which means that you will only pay for the time that we work and the cost of the product. Secondly, we provide thorough evaluations to understand where the source of the mold is coming from. This allows us to completely remove the mold as well as to give you insight on how you can prevent mold growth in the future. 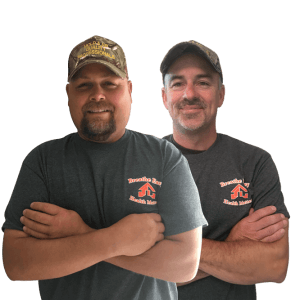 Our experienced mold remediation specialists have the tools needed to completely remove all traces of mold and to even remove mold stains. 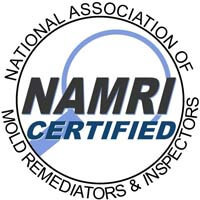 To schedule a mold remediation service in Ann Arbor, MI, be sure to contact us at Mold & Air Quality Professionals today.